Anne M. Davis, Esq. is a family law attorney in practice for 17 years. Her experience and compassion for the children come together in this book. She is a divorced mother herself of two girls giving insight personally as well as professionally. Every child can be a champion! " All of our children want to believe that both of their parents are good people. The title Raising Champions Amidst Diversity was purposely made to be obscure so children that saw the book would not be uncomfortable about their parents reading it. The whole point is to minimize the impact of divorce on children. 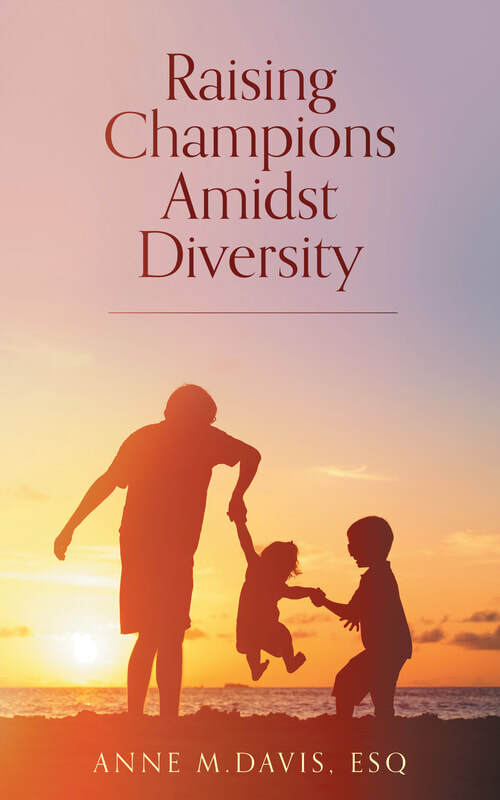 The "Diversity" in the title refers to raising children in two different households that may have different sets of rules, lifestyles and cultures. Yet, despite these differences, children should feel some consistency and acceptance of the other family's lifestyle. Just because it may be different, does not mean that it is wrong. The book contains examples and advice of how to deal with those differences with an attitude of acceptance, even when it pains you, all for the ultimate goal of raising happy, healthy children.